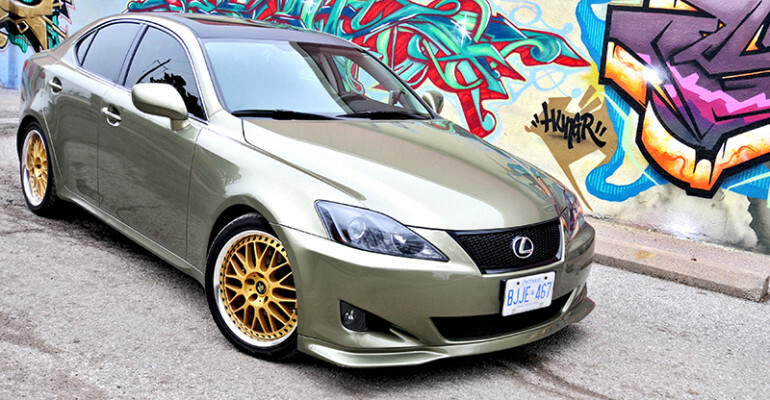 This 2007 Lexus IS250 AWD was given a custom colour-matched paint job on the front bumber lip kit. The suspension is lowered and fitted with gold powder-coated 18″ rims. Tinted windows and a black vinyl-wrapped roof completes the look.